If you need more Conspiracy time after the frosty first-Thursday jam, come on down to the open studio on Saturday, January 5. 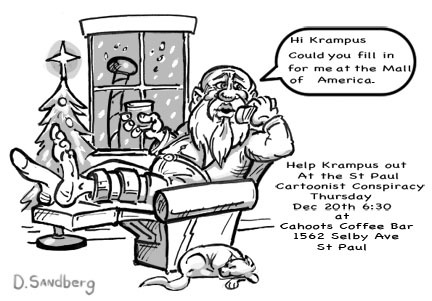 Meet, talk and draw with a few of your fellow cartoonists at Minnesota Center for Book Arts. We’ll be at the bindery (high tables). Hopefully the recently resurrected coffee shop will still be open. If not, there’s a convenience store across the street. There are handy outlets nearby for your electrical devices, plus coffee-shop wi-fi. This is an open studio — all are welcome. Holy cow! It’s our tenth anniversary! Let’s draw, yes? 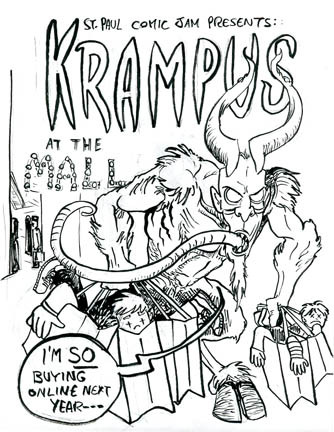 Comics from our first jam in December 2002 can be seen here. Conspirator Dr. Dan McNamara (founder of the currently inactive Mini-Comics Co-op) has successfully funded his kickstarter to tell the world about nematodes using cutting-edge pamphlet technology. That, however, does not mean you will not want to support his noble efforts. You still have a week to support his cause. Go here to learn more, and illuminate yourself by viewing the video below. If you need more Conspiracy time after the historic Ten Year Anniversary Jam, come on down to the open studio on Saturday, December 8. Meet, talk and draw with a few of your fellow cartoonists at Minnesota Center for Book Arts. We’ll be at the bindery (high tables). Hopefully the recently resurrected coffee shop will still be open. If not, there’s a convenience store across the street. There are handy outlets nearby for your electrical devices. Plus (again, hopefully) free, slow coffee-shop wi-fi. 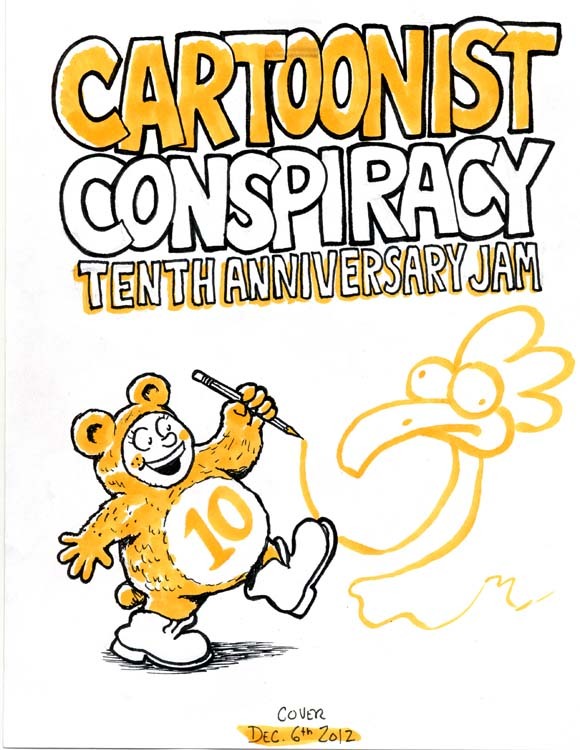 Come To Our 10th Anniversary Jam in Minneapolis Thursday December 6th!